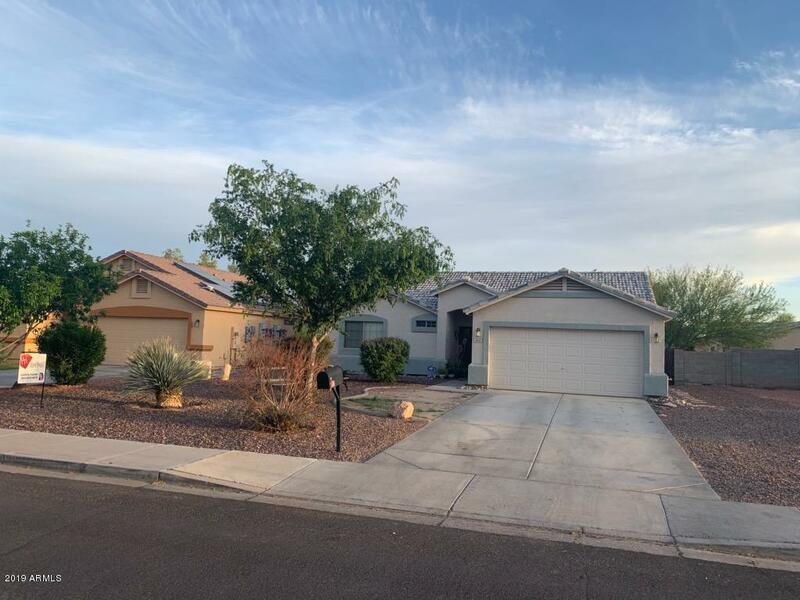 All ESTRELLAS GARDEN SUBDIVIS homes currently listed for sale in Buckeye as of 04/19/2019 are shown below. You can change the search criteria at any time by pressing the 'Change Search' button below. "** Treat as VACANT from 10 to 7 PM. Using Showingtime to get confirmation, please. Sellers are making it easier to be shown! *** Well kept 3 Bd. 2bath 2 car Garage...Nice Home ready for its new family to enjoy!. . . Kitchen appliances stay. . . Ample parking on the concrete slab may fit 4 cars! also the side of the Lot its open..Per HOA CC&Rs it may approve the RV Parking. **. *Sellers may help with closing costs and willing to place a door in the open room that is used as kids playroom. Set up"